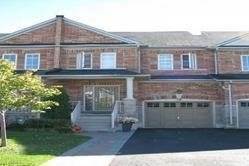 Houses for rent in Aurora, ON are easy to filter and browse through on Point2 Homes. Whether you’re looking for apartments for rent, furnished apartments, condos, single family homes, studio apartments, townhouses or any other rentals, you can get a list of properties based on your needs with just a few clicks. Rental homes in Aurora, ON on Point2 Homes are displayed with important additional information, such as property type, square footage and amenities, and the name and contact information of the real estate agent handling the property. You can also learn whether there have been significant price drops in the rent during the last 6 months. Whether you’re looking for rental apartments or generally homes for rent in Aurora, ON, on Point2 Homes you can tell whether you’re close to the amenities you need at a glance, by using the map view. And if you know exactly where you want your apartment to be in Aurora, ON, you can simply use the polygon or radius tools to draw around the area you’re interested in, and Point2 Homes will instantly show you all the rental homes there. How much is rent in Aurora, ON? There are two ways in which you can find apartments for rent based on price on Point2 Homes: you can either set the minimum and maximum price range yourself, or you can simply sort all the available houses for rent based on price, if you want to browse a wider range of rental homes. Once you’ve found a rental you’re interested in, all you have to do to get in touch with the listing agent is check the listing detail page – all the contact information you need will be there. 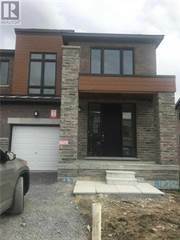 If you’d rather start with expert advice, getting in touch with professional agents in Aurora, ON is very simple on Point2 Homes. Simply go to Tools in the menu and find an agent. You get a list of featured agents in Aurora, ON, all knowledgeable and eager to help. Aurora is located near the communities of Newmarket, Richmond Hill, Whitchurch-Stouffville, and Kettleby in the southern portion of the province. The city spans over 49 square kilometres and has a population of over 55,000 people. Aurora is considered an affluent neighbourhood, with many luxurious properties featuring large homes and beautifully landscaped grounds. The city provides a quieter, slower pace of life outside of the bustling urban centres of nearby Richmond Hill, Markham, and Vaughan. Residents have access to plenty of amenities, as well as various transportation options. The real estate market in Aurora can be expensive, with average home prices ranging from $540,000 to $1,400,000. Large, newer built single-family homes on sprawling lots make up the majority of Aurora’s northern section, along with some retail commercial spaces and row houses. The city’s central section has a variety of condo options, as well as a mix of newer and older single-family homes. Row houses and retail commercial space are also available in this section. The newer built single-family homes in the southern section are often found on large, rural-style lots. Retail commercial spaces and some vacant land are also available in this section. The rental market in Aurora is tight, with the vacancy rate decreasing over the past several years and sitting at under 1%. The low vacancy rate can be attributed to the higher cost of homeownership in the area, and a lack of new apartment buildings being constructed in the city. Three-bedroom (or more) apartments tend to have the highest vacancy rates, while available bachelor and one-bedroom apartments are more difficult to find in the city. Average rent costs in Aurora are around $700 for a bachelor apartment, $1,050 for a one-bedroom apartment, $1,200 for a two-bedroom apartment, and $1,350 for a three-bedroom (or more) apartment. Rent costs have increased slightly overall in the city, with three-bedroom apartments seeing the highest increases. Major industries in Aurora include advanced manufacturing, green industries, interactive media, and print production. Magna International, an auto parts manufacturer, is based in the city and is one of the top employers in the area. The city has a number of fully serviced industrial land options for manufacturing businesses that are interested in operating in or expanding to Aurora. Green industries focus on environmental waste, remediation, and administration, with an emphasis on research and development. There are a growing number of jobs in the interactive media field, which includes educational, arts, and information sectors. TC Transcontinental has a large printing plant in Aurora, employing many residents. The city’s unemployment rate is between 7% and 8%, which is higher than the national rate. Public transit bus services in Aurora are operated by York Region Transit and VIVA bus rapid transit. Several regular bus routes and one VIVA route run through the city and connect it to other nearby communities, including Newmarket and Richmond Hill. The Aurora GO Station provides access to GO Transit trains on the Barrie line, which link to York Region Transit buses and the GO Express Bus, as well as VIA Rail passenger service. The York Region District School Board, the York Catholic District School Board, the Conseil scolaire de district catholique Centre-Sud, and the Conseil scolaire Viamonde operate schools in the city. Examples of schools found in Aurora include Hartman Public School, Wells Street Public School, Aurora Heights Public School, Highview Public School, Aurora High School, Dr. G. W. Williams Secondary School, Holy Spirit Catholic Elementary School, Light of Christ Catholic Elementary School, and Cardinal Carter Catholic High School. Private school options are also available. Residents must find post-secondary options outside of the city in nearby communities. Options include Seneca College of Applied Arts and Technology, Evergreen College, Academy of Learning College, and York University. The Aurora Community Centre includes an auditorium, two arenas, and two meeting rooms. Activities offered at the centre include hockey, ice skating, kids’ camps, gymnastics, indoor soccer, and ball hockey. Facilities are available to rent for workshops, programs, meetings, and events. Confederation Park offers 15 acres of nature and recreation, with amenities such as a playground, a picnic shelter, two softball fields, two basketball courts, two soccer fields, a natural outdoor ice rink in winter, walking paths, treed areas, benches, and a spacious paved parking lot.